In Medieval Provençal times they were saumaliers, animal pack drivers who evolved during Middle French kingdom to become court officials charged with transportation of supplies. So what does a modern day Sommelier actually do? 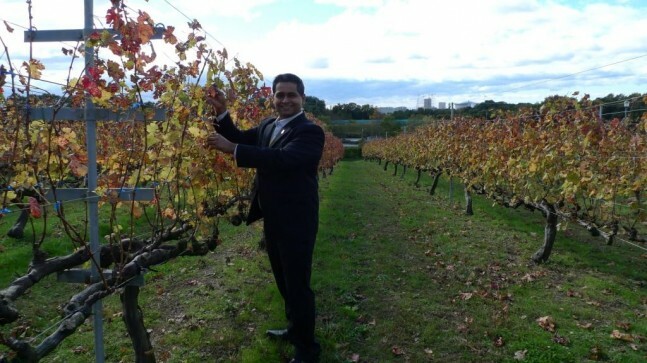 Where do you currently practice your sommelier skills? Where have you dined recently that impressed you? Where have you dined that you were mightily impressed with the wine list and service? In Verona near the Arena – A very old restaurant called Ristorante Ai 12 Apostoli www.12apostoli.com; before commencing your dinner, you get invited to the basement for prosecco and canapés and look through the walls which are decorated with pictures and signatures of very famous people. I only cook during day off from work, when I am at home the whole day. I do enjoy cooking Spaghetti with pesto sauce and with it I prefer to have at least 2 glasses of dry Muscat from the wine of L’Elephant, Musk Blanc from the Cotes Catalanes in France. For me, Soave has been inspirational. Might not be the best place for Cuisine, but after going through the Castle of Soave, and visiting the vineyards, the simple pastas tasted so declicious! The wines that I have selected below are drinking the best as of this year 2012, and they have produced outstanding wines to reflect the terroir of the individual regions. It brings you from the Riesling to Sauvignon Blanc then to the Chardonnay, Pinot Noir, Syrah and finally ending in Bordeaux with Cabernet Sauvignon Blend.